increase your profits and reduce your loss. WHY HIRE A CORPORATE WELLNESS COACH? 80% of chronic diseases are preventable by making SMART food and lifestyle choices. What is reWORX Corporate Wellness? reWORX Corporate Wellness Coaching is designed to improve your company’s bottom line by promoting a healthy lifestyle and overall well-being of your most valuable and profitable asset - YOUR EMPLOYEES! reWORX Corporate Wellness Coaching does not have to be complicated. ReWorx is simple, easy and cost effective. In general, most employees spend more hours at work than anywhere else. Establishing a wellness program helps to instill the benefits of a healthy work life balance, thereby creating a positive work environment and happier employees. Happiness directly correlates to increased productivity. Ultimately, when a company prioritizes their employees happiness and wellness, it reflects well on their bottom line. Employees will learn how using the power of food as “medicine” nourishes the body; as well as how it impacts their immune system. They will be empowered and motivated to take charge of their health. 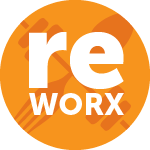 If your company is looking for a more personalized employee wellness plan, then reWORX is the program for you. 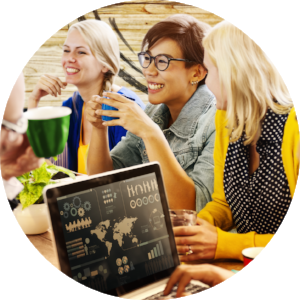 I provide educational seminars, in addition to webinars and podcasts that provide flexibility for your employees' busy schedules. Designed for groups or individuals to gain knowledge about food and how it affects their body. Food will no longer be just food. With knowledge there is power. Understanding, what happens when we eat certain foods – good or bad – allows us to make an educated choice as to how we nourish and fuel our body. I believe in being proactive about our health. Simply put, food is fuel for the body. 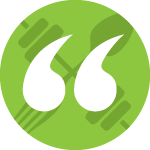 "I will teach your employees how to fuel their body for optimal performance. I will motivate and empower them to make SMART healthy choices to live a vibrant, healthy life!" FRAZZLE FREE! - Tips to De-Stress and Balance Your Life! Go with the Flow, H20! The importance of staying hydrated. DIET FREE, FAD FREE, Weight Loss! A smart way to better health. Savor the Savings - The Budget Friendly Healthy Shopping Cart. Grab and Go! - How to eat healthy on the run. What’s on the inside that counts! A Great Physique Does Not Equal Great Health. 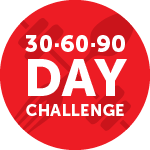 ReWorx Corporate Wellness offers 30, 60 and 90 Day Challenges. Fun, engaging, team building fitness challenges to see who can lose the highest percentage of their starting weight. However, the overall purpose of the program is to educate employees on how the combination of exercise and food choices impact the immune system and the the body's overall health. Bi-weekly health seminars offered after hours or during lunch. Weigh-in on day one and bi-weekly for the duration of the challenge. water intake, exercise, sleep times, stress levels, and gratitude reflections. Which type of program interests you? As someone who has experienced a debilitating chronic illness, here is what I know to be true...the food you eat has a profound effect on your health. 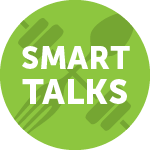 Real life stories from real people who set goals to achieve positive lifestyle changes. My hope is this will strengthen your desire to reach your goals, too! I have compiled an informative list of my most frequently asked questions to better assist you.